Family Partner, Amna Khaliq considers this recent case which looked at how courts apply ‘grave risk’ arguments in child abduction cases. The recent case HVK and others (Abduction: Undertaking) [2017 EWHC 1141] FAM heard by Justice McDonald on 11th May 2017 considered the defence of grave risk as set out in Article 13 B of the 1980 Hague Convention. In this instance, the mother abducted her two children aged 10 and 9 by wrongfully retaining them after having been given limited permission to bring them to England and Wales from Hawaii. The father sought their return and the mother was made subject to an arrest warrant by the US Federal Authorities. The mother argued that the children were at grave risk and would face an intolerable situation if they were returned, furthermore the children both objected to such a return. The court was asked to consider whether even at the highest risk of grave risk of harm or otherwise placing the children in an intolerable situation was such that the protective measures offered by the father and available in the US were insufficient to protect the children and prevent the risk becoming manifest upon the children’s return to the jurisdiction. The Judge held that the protective measures offered by the father and available in the US was sufficient to protect the children. The Judge also commented that a parent who chooses to abduct a child must expect to be the subject of arrest and prosecution, which is simply one of the proper consequences of a parent who unwisely takes the law into his own hands rather than seeking relief through the courts. The Judge also considered the children’s views and their objections within Article 13 of The Hague Abduction convention and the children were of an age and understanding which was appropriate to take account of their views. However, the Judge found that both their objections were not determinative and were heavily outweighed by other welfare considerations. In summary, this case is a reminder that where children have been abducted, particularly from Hague Convention countries, if there are protective measures in place in that country it is highly unlikely that the defence of grave harm CAN be established. Furthermore, where the children are old enough the courts will consider their views but these will not outweigh other welfare considerations. 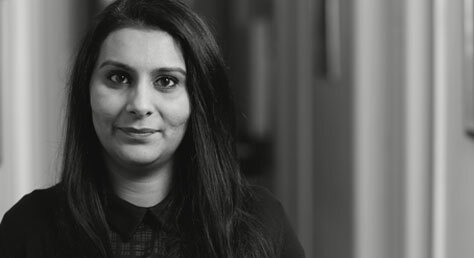 If you have a case concerning child abduction, or other child arrangement issues, and you need help, contact Amna on A.Khaliq@wilsonllp.co.uk or call Mavis to arrange an appointment on 020 8885 7986.